These Tunisian women have some sauce, pooling their resources and a seasoned culinary expertise handed down the centuries from mother to daughter. Their secret? 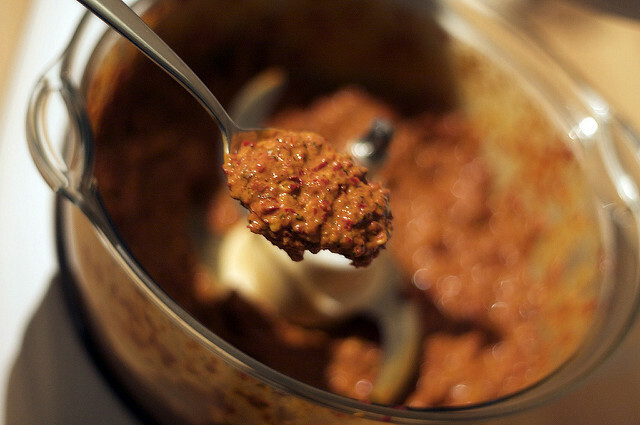 Harissa — the spicy hot pepper paste used to add zing to dishes traditionally prepared in North Africa’s Maghreb region. These days, when Najoua Dhiflaoui prepares harissa, it is no longer just for her family. She and another 150 women are now making money by producing and even exporting their ancestral savoir faire. Harissa, made from sun-dried chilli peppers, freshly prepared spices and olive oil to both preserve and soften its heat, is added to most dishes in restaurants in Tunisia, and is also popular abroad. In 2013, a group of women farmers in Menzel Mhiri near Kerouan in rural central Tunisia banded together to form a cooperative they dubbed “Tahadi” — Arabic for “challenge”. Dhiflaoui and her co-workers certainly rose to it. They went “door-to-door to convince others to join them, to combine their knowledge and sell their products together”, the dynamic fortysomething told AFP. The women were able to take advantage of an official project to support local produce and were given training in the technical, hygienic and commercial aspects of their venture. For the past two years, they have marketed their harissa under the “Errim” trade name. That’s Arabic for small gazelle, also a symbol of feminine beauty. Read the full article by Eléonore Voisard via The Citizen. Building Partnerships for Innovation in Water, Energy and Food Security.